A little while ago, I noticed this new long timber fence along Parrs Cross Road. Looks like a new housing development is sprouting behind it. That’s a fine fence! Those lines look almost satiny. 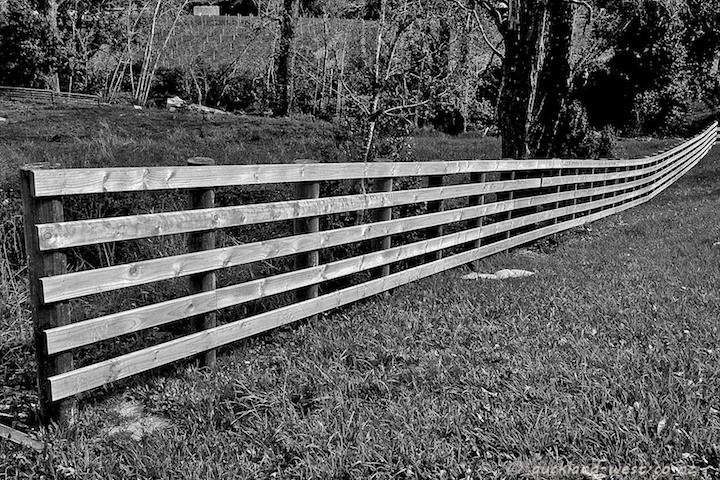 A great fence, Perfect using B&W! Quite a streamlined fence line but if it symbolises a housing development that is not so good!